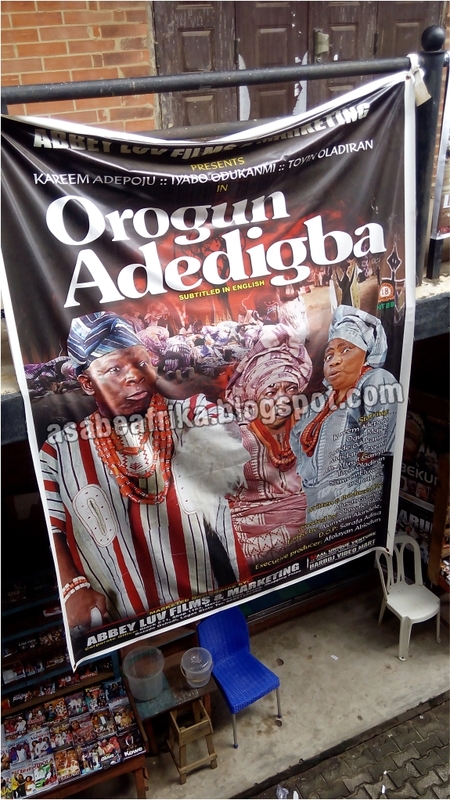 This is the concluding part of the exclusive interview we had with Prince Bola Oyin Adejobi, one of the scions of the Osogbo, Osun State—South West Nigerian born Oyin Adejobi who died in year 2000 at age 74. 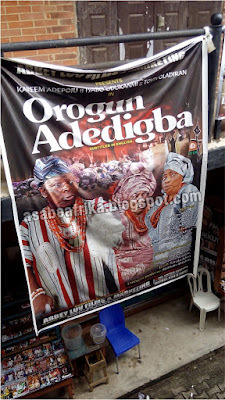 The younger Oyin Adejobi in this last edition of the interview which has gone viral and turned controversial over his allegation that the famous Yoruba Movie “Ti Oluwa Ni Ile” produced by Alhaji Kareem Adepoju aka Baba Wande in 1995 was actually written by his father the late legend, Oyin Adejobi gave a vivid description of how his father spent his last days on earth spiced with human disappointments and fortune loss. In a nut shell, the younger Oyin Adejobi agreed with this blog that his legendary father died a depressed man. 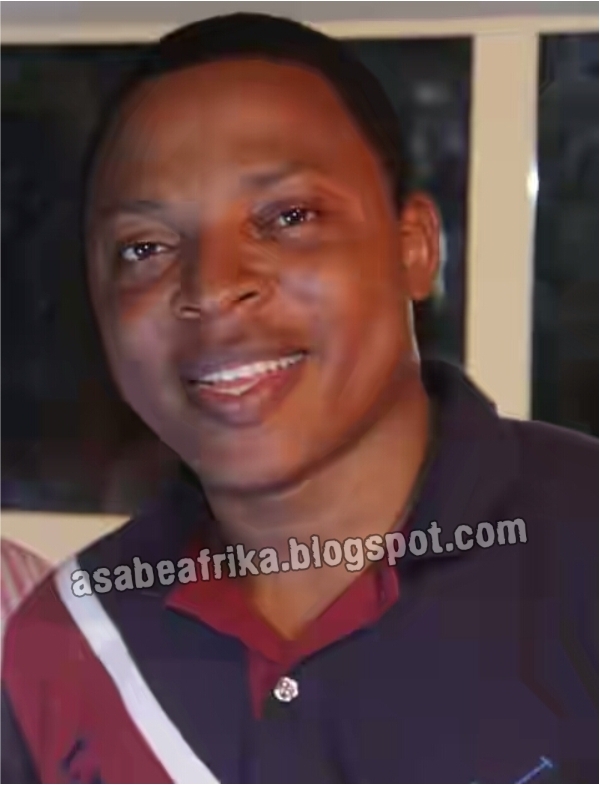 Find why the great thespian wasn’t happy at death on your Africa’s number 1 Celebrity Encounter blog, Asabeafrika. Enjoy! You seem to be Baba’s only son that is not a Pastor; your other brothers are Pastors. Why? Yes, my elder brother is a Pastor and I have couple of other elder brothers that are into ministerial works. Like Pastor Sola Oyin Adejobi, he is a full time Pastor. I have a sister, who is into gospel and drama ministry. Actually I was once like them, I studied at Federal Polytechnic, Ede. When I got to that school I discovered there was no theatre group, nothing like theatre or dramatic arts. So, I approached our rector at the time, I told him I want to form a school drama group and he gave me the go ahead and I formed the school drama school then and we will stage drama at school for our numerous events. There was this lady, her name is Oyindamola Adejumo, actually we call her Kemi Adejumo because we both went to Ilesa Grammar School together and we now found ourselves together at Federal Poly, Ede. Her own dad is Baba Salla. So people use to call her “Salla, Salla, Salla but her real name is Oyindamola Kemi Adejumo. So, she came to me after we produced our first stage drama in school and it turned out to be a very huge success, the hall was filled to the brim. She came to me and said that she has this urge within her, that God said she should organize a concert; that I should help her put the event together on what I have done before. So, we put brain together and did the concert which was very successful. People that saw me with her taught I was into gospel drama ministry. So, different fellowship bodies started coming to me, CU, NIFEST, Chancellor’s Fellowship, they started coming to me that they want me to help them do this or that on their choir or drama day and that was how I got involved in most fellowship productions like movie, choir and anniversary, they will just come to me and I became like a consultant to all those people but I was still doing the real drama and I had a drama group. I used to direct, I direct most of my stage plays and I thank God when I was having my inauguration, I formed a group which I called Divine Testimony Outreach. That was a major Christian outfit that I formed. So, the day I was having my inauguration, I invited my dad. He was there live. I was the one that went to pick him up from Osogbo with one of my lecturers, Mr. Omidiran’s car. I borrowed his car to go and pick Baba. I brought him down and I invited the Mount Zion Group as well. Reverend Foluso Taiwo, I think he is now a Bishop but he was a Reverend at the time, he was a renowned broadcaster and he mastered the ceremony for me. We also had Baba Salla too, all of them came to witness the day at Federal Poly, Ede; that was September 12, 1999. That was the year I launched my career officially. Can you tell us the full story of how your father became handicapped? Actually in the story Orogun Adedigba which was the full story of his life, he made people to realize that he was poisoned. Dad was born a normal child but at age ten he was poisoned by one of his step mothers. His mum’s name is Adedigba (In the movie) and the step mum is the Orogun. So, the step mother poisoned his food and he died after eating the food; so, on the way to burry him, a traditional healer coming from Ile-Ife saw them taking his body to the grave and stopped them; he said ‘this boy you are about to burry is a glorious son’ that ‘I will not allow you to burry a glory’. So he collected the dead child from them and I think three people, his mum, step mum and two other people followed the man to his shrine. After series of rituals my father came back to life. But the poison went down to his leg and it affected the legs badly. I think the legs became “Egbo Ada-jina” (A malignant sore) and it started smelling. He said there was a day his mum was trying to take him from Oshogbo to Ile-Ife for the treatment of the sore, as she entered the bus, every occupant of the vehicle came down and insisted they were no more traveling because of the odor oozing from that leg. So, the driver had to force her down and she eventually trekked from Oshogbo to Ile-Ife for couple of days to meet the Baba for the treatment. That was how the man perfected the healing on the leg and the sore was healed but he couldn’t use his legs to walk again. By the time he died, the leg used to peel. At a point in time he was experiencing excruciating pains on the legs and the legs used to peel. It was due to the effect of the damage done on the leg by the poison but dad was born a normal child. You mean your dad was a victim of a volatile polygamy? That is exactly what happened to him. At which age did he passed away? He died on the 31st of May year 2000. He was aged 74. He lived long, isn’t it? No, he didn’t live long. He died unhappy. To some people you might say he died at the ripe age but he did not, had it been he had a normal and proper attention he will live longer. I can say Baba died of depression. 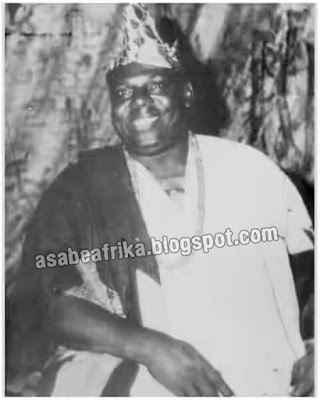 Because this was a man that has like 3 to 4 vehicles, he had a lorry, he had a bus he had a car and he even bought cars for many people; if I am not aware of any other person, at least I am aware of Baba Wande’s own (Kareem Adepoju). He bought a car for him, the very first car Baba Wande used in his life; my dad bought it for him. So; a person like that that has so much affluence, who has his own home and everything just perished like that? Till the day he died, he didn’t have a single car of his own. He died wretched but he died gloriously. He died huge and was celebrated by his race. You mean your dad had much goodwill but lost his material wealth before death? Yes, there was a day we were talking and he asked me a question that ‘How do you know someone that is successful?’ and I said ‘If you have money and if you have wealth’ and he said “No”. He said ‘You can only know someone that is successful by the amount of people that rose through him”. He said that is the only measure of success. He said he can point to series of people he brought up; then, he started calling names, he mentioned Eda Onile-Ola (Lere Paimo), that he was his first manager. He mentioned Kola Oyewo, he mentioned Baba Wande, Alabi Yellow, Tafa Oloyede, Iya Oshogbo, Olofaina. He mentioned Ogun Majek, series of people like that; those I know and those I don’t know. And when he died, the whole of Oshogbo and the entire South West stood in honor of him. Would you say his dying wretched was destiny or as a result of his handicap? Yes, majorly because he was handicap, there are some places that he supposed to enter by himself but he will send people and in most cases this people betrayed him in the long run. There was an instance he went to see a promoter but because of his handicap and because he trusted this aide of his, he sent the aide upstairs to meet the promoter and I think that is the same scenario that applied to “Ti Oluwa Ni Ile”. So, the person went to the promoter and by the time the person returned to him, the story has changed. The promoter just showed up from upstairs and said “Ah, Baba, don’t worry, I will get back to you”. He just gave him a token for his inconveniences. Later on, the person he sent to see the promoter now turned out to be the person the promoter now promoted for a Movie production. That was exactly what happened with Ti OLUWA NI ILE. Where Baba supposed to enter, where he supposed to go physically, he send in people there and the people he send will just go there and deliver their own message. That was why he wrote a song “Kori ma fese je wa niya, ka le rin deebi ire aiye wa, amin! Amin ooo, Kori ma fese je wa niya, ka le rin debi ire aiye wa” (Destiny should not punish us with bad legs so that we will be able to walk to our glory, amen! Amen!!). So, it was due to depression that he died and by the time he got sick, there was virtually nobody to rally round him. Can you recall his very last moments on earth, were there premonitions that he was going to die? I remember I came from school and I borrowed my English lecturer, Mr. Kuponiyi’s bus to come and pick him up at home for the hospital. From hospital I later went to Ibadan to meet my elder siblings to say “Papa is dying” we now hired a Peugeot 504 when he was referred to UCH, we took him down to UCH. But he later passed away, the illness started in April and he died on the last day of May, 2000. Talking about premonition, I can say yes, because he got a message then because he showed me that message. I went for a burial ceremony in Lagos. so, coming back to Osogbo, I met him outside the house and he said ‘where are you coming from and where are you heading to?” and I said ‘I was going to Ilesha’ and he was making jest of me saying “Iwo yii, ko saa ma be kakiri, be kaakiri etc” (You like jumping around) and I said “Egungun lagbara Odo now, Eyin yii e ti le” (This is our time, you people are now old”. He said “Ehen, ati le? Ok, je ka ja” (You mean I am weak, let us fight) So, we did our normal arms wrestling and yet he won me again. After that he said I should go and bring a paper under his pillow and I brought it out. It turned out to be a Celestial Church Message note, Alabi Yellow was the one that sent the message from one Celestial Church that Baba should pray and do some spiritual assignment so that he will not fall sick in April and die in May. So, I returned the paper; on returning outside, I met him shivering and he said I should wheel him inside the house which I obliged. That was the day the sickness started in April and he died last day of May. “After that he said I should go and bring a paper under his pillow and I brought it out. It turned out to be a Celestial Church Message note, Alabi Yellow was the one that sent the message from one Celestial Church that Baba should pray and do some spiritual assignment so that he will not fall sick in April and die in May”. Maybe he didn’t do the special spiritual work? He was unable to do the work and while on the sick bed he sent messages around; in facts he sent me personally with other people to marketers and to some people to assist him but the messages they sent back were depressing and all that culminated in his demise because he was so depressed. I learnt you were his only son he handed over 50 original stories and sitcom material to; are they still with you? Yes, you are right. What happened was that when he was dying on the sick bed he had to entrust those stories to me. Before he fell sick, there was this man who is a member of the Association of Nigerian Christian Ministers, his name is Wole Olaleye and the man used to come around to preach to him. The man had a radio program on Osun Radio; the station was directly situated at the back of our house in Oshogbo and a lot of drama ministers used to visit the station. So, each time he brings in a drama minister he will bring them down to Baba to preach to him and pray for him. So, Baba got converted during the process, he got converted and became born again. One day he told me that he would like to write a Christian story; that he actually started with a Christian story. His first story was titled “Paradise Lost” which was the story of Adam and Eve in the Holy Garden the existence of human being etc; that was Baba’s first story in life. So, he said he wanted to go back into Christian stories and I said ‘well, in school I had a group that you are aware of; I can inculcate your new dream to my group. So, he said I should write a story and I wrote. I narrated the story to him and he liked it and he said I should write it out and I wrote it out and gave it to him. Later, when he was on sick bed, he sent me to his room and said I should bring anything I see under his pillow to him. I saw the story I gave him with another parcel. I brought everything to him on his sick bed. He handed back to me the story I gave him, he said he intended doing that story as his first Christian movie, that I should go ahead and do it, he equally gave me a parcel, and a big book like that, it was stories (Script) he kept inside and he asked me to keep for him very well and about two days later, he died. That was what transpired between us. Are those stories still with you and can they be translated into movies? Yes, I still have them; of course they can still be translated into movies. They are original stories that are of epic nature. You just released an album, Gaskiya, what is it all about? Gaskiya is the title of my latest album, it is a video. Actually Gaskiya is one of the tracks from an early album I titled Exalted. Out of the six tracks I had just one called Gaskiya and because I noticed when people see me around they call me “Gaskiya! Gaskiya!! that Gaskiya now stuck to me. Truth is that Gaskiya was a nominal recording in the studio, we were about to cut it off. I even told the engineer to remove that part because already, we had exhausted normal time and this one was just an addition. But the engineer delayed and when people come in to see him and they listened, they will say ‘Ah! Gaskiya, this song is good ooo’ so, I discovered the track has suddenly developed a life of its own. So, when the engineer said, “Brother Bola, should I still remove it?” I said ‘Ore, ma remove e o, file beyen’” and that was how Gaskiya came about. I thank God that Gaskiya has gone beyond my expectation. However, because I didn’t want people that are stealing my songs to steal this one because I have been a victim severally, I quickly made a video on Gaskiya. People listen to it but they don’t know I sang it. I did the video to show that, this is the face behind Gaskiya and it was shown on local and international TV stations. That was how people knew I am the one. How do you think cooperate Nigeria can invest in those of your father’s stories in your care? Actually those stories are like a bundle of gold kept somewhere, anytime I read those stories I discover that they are stories very rare and hard to come by. If any company or establishment is interested in those scripts, in fact, it is going to be a world class production. A classical production, at times when I watch some movies I just say ‘gosh!’ these are no stories. The story lines are dead. We don’t have stories again. Most of these stories require a lot of funding. So, nothing stops me from going to location to produce those movies but do we have the financial wherewithal to produce those stories? No, those are some of the things that caused set back. If I don’t want to water down the originality of the story and we have to produce it the way it came from the writer, we have to search for funds and I want to enjoin reputable organizations who value the arts and movies to invest in Pa Oyin Adejobi’s dynasty so that we can produce this epic stories for this generation.